Here are some snazzy birthday facts about 30th of November 1931 that no one tells you about. Don’t wait a minute longer and jump in using the content links below. Average read time of 10 minutes. Enjoy! What day was my birthday Nov 30, 1931? November 30, 1931 was a Monday and it was the 334th day of the year 1931. It was the 48th Monday of that year. The next time you can reuse your old 1931 calendar will be in 2026. Both calendars will be exactly the same! This is assuming you are not interested in the dates for Easter and other irregular holidays that are based on a lunisolar calendar. What day is November 30 this year? There are 225 days left before your next birthday. You will be 88 years old when that day comes. There have been 31,917 days from the day you were born up to today. If you’ve been sleeping 8 hours daily since birth, then you have slept a total of 10,639 days or 29.13 years. You spent 33% of your life sleeping. Since night and day always follow each other, there were precisely 1,080 full moons after you were born up to this day. How many of them did you see? The next full moon that you can see will be on April 19 at 11:14:00 GMT – Friday. Fun stat: Your first one billion seconds (1,000,000,000) happened sometime on August 8, 1963. If a dog named Oui - a Skye Terrier breed, was born on the same date as you then it will be 368 dog years old today. A dog’s first human year is equal to 15 dog years. Dogs age differently depending on breed and size. When you reach the age of 6 Oui will be 40 dog years old. From that point forward a small-sized dog like Oui will age 4 dog years for every human year. View the complete list of November 30 celebrity birthdays. Who are the famous November 30 birthdays? Here’s a short list of famous people in history who were born on Nov 30. View the complete list of November 30 famous birthdays. What happened on my birthday – Nov 30th? Ground is broken at Allanburg, Ontario, for the building of the first Welland Canal. American Old West: Kid Curry Logan, second-in-command of Butch Cassidy’s Wild Bunch gang, is sentenced to 20 years imprisonment with hard labor. Lucille Ball marries Desi Arnaz in Greenwich, Connecticut. In Sylacauga, Alabama, United States, the Hodges meteorite crashes through a roof and hits a woman taking an afternoon nap. This is the only documented case in the Western Hemisphere of a human being hit by a rock from space. The Pakistan Peoples Party is founded by Zulfikar Ali Bhutto, who becomes its first chairman. Vietnam War: White House Press Secretary Ron Ziegler tells the press that there will be no more public announcements concerning American troop withdrawals from Vietnam because troop levels are now down to 27,000. Michael Jackson’s second solo album, Thriller is released worldwide. It will become the best-selling record album in history. Deutsche Bank board member Alfred Herrhausen is killed by a Red Army Faction terrorist bomb. Exxon and Mobil sign a US$73.7 billion agreement to merge, thus creating ExxonMobil, the world’s largest company. Lion Air Flight 538 crash lands in Surakarta, Central Java, Indonesia, killing 26. View the complete list of November 30 historical events. Curious about this Mixed Berry? This is a party item you can activate and send to your friends when you play the free game Jump Birthday Party. It’s a fun and easy-to-play mobile game for all ages. Get free 1,000 gold coins when you download today! What does my birthday November 30, 1931 mean? 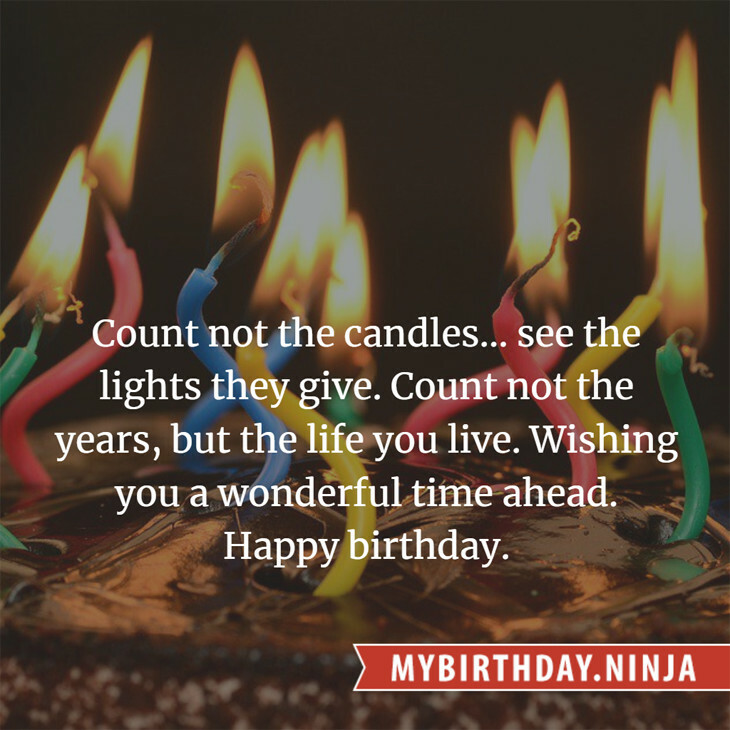 Your birthday numbers 11, 30, and 1931 reveal that your Life Path number is 1. It represents initiative, potential and singularity. You are a born leader. You insist on your right to make up your own mind; you demand freedom of thought and action. The following celebrities also have the same life path number: Guy Kibbee, ICS Vortex, Xian Lim, Fredric March, Meryl Cassie, Muriel Pavlow, Helen Svedin, Ozzy Osbourne, Alex Briley, Lââm. What is the birthday horoscope for Nov 30, 1931? The Western zodiac or sun sign of a person born on November 30 is Sagittarius ♐ (The Archer) – a mutable sign with Fire as Western element. The ruling planet is Jupiter – the planet of luck and expansion. According to the ancient art of Chinese astrology (or Eastern zodiac), Sheep is the mythical animal and Metal is the Eastern element of a person born on November 30, 1931. 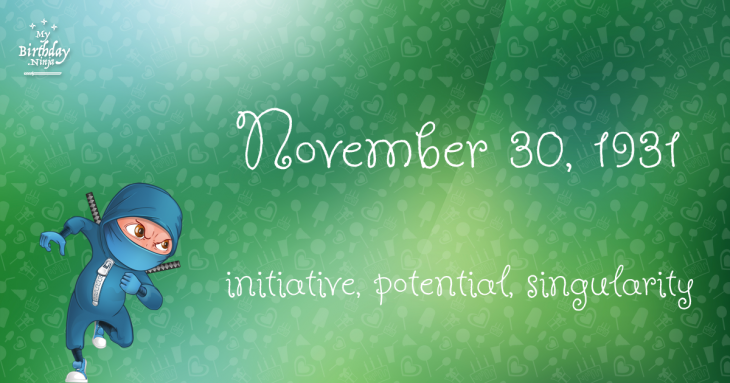 What is the birthstone for November 30? Topaz is the modern birthstone for the month of November while Pearl is the mystical birth stone (based on Tibetan origin). The zodiac gemstone for Sagittarius is topaz. Lastly, the birthday stone for the day of the week ‘Monday’ is pearl. Fun fact: The birth flower for 30th November 1931 is Chrysanthemum for loveliness. What is the Love Match for Nov 30, 1931? When it comes to love and relationship, you are most compatible with a person born on April 19, 1956. You have a Love Match compatibility score of +162. Imagine being in love with your soul mate. On the negative side, you are most incompatible with a person born on June 6, 1909. Your incompatibility score is -201. You’ll be like a cat and a dog on a love-hate relationship. Arf-arf, I want to bite you. Meow-meow, stay away from me! What is a good birthday trivia for November 30? I do not know how you feel about this, but you were a male ♂ in your last earthly incarnation. You were born somewhere around the territory of USA North-Central approximately on 1775. Your profession was leader, major, captain. Your brief psychological profile in that past life: Artistic personality, always transforming ugly into beauty, gray into bright colors. You would find an opportunity of creative self-expression in any situation. Lessons that your last past life brought to present: Your main lesson in present – to develop magnanimity and feeling of brotherhood. Try to become less adhered to material property and learn to have only as many, as you may give back. What is the popular baby name on 30 Nov 1931? What’s your bizarre Florida Man story? The #FloridaManChallenge is breaking the Internet and social media. Some crazy men, women, or creatures from the Sunshine State are making headlines every day of the year including your birthday. Try this fun exercise. Pick your search engine of choice and type in “florida man November 30” and see what kind of wild news headline you will get. This viral craze started in 2013 and gets resurrected now and then. The latest was from Tumblr and found its way to Twitter. As they say, the rest is history. Here’s a quick list of all the fun birthday facts about November 30, 1931. Celebrities, famous birthdays, historical events, and past life were excluded. Try another birth date of someone you know or try the birthday of these celebrities: June 11, 1978 – Ujjwala Raut, Indian model; March 19, 1975 – Lucie Laurier, Canadian actress; May 6, 1926 – Marguerite Piazza, American soprano and actress (d. 2012).